Elinor Tatum is the Publisher and Editor in Chief of the New York Amsterdam News, the oldest and largest black newspaper in the City of New York, and one of the oldest ethnic papers in the United States. Ms. Tatum was appointed to Editor In Chief in 1997, becoming one of the youngest publishers in the history of the black press. She began at the newspaper as a journalist, covering issues local and national issues affecting Harlem and the black community. Under her watch, the Amsterdam News was modernized to include an online edition, a new layout, and refocused with content relevant to a wider African American community in New York and across the nation. Ms. Tatum has positioned the newspaper as a critical part of the national political discourse concerning African Americans. 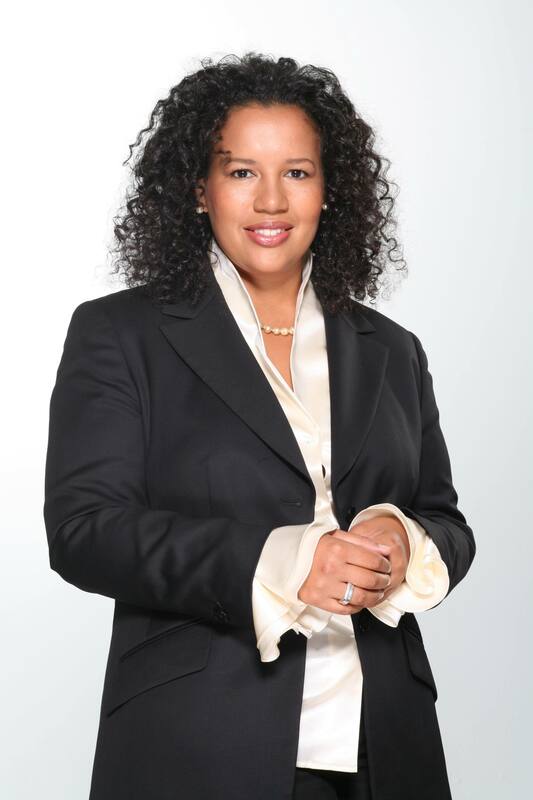 In addition to publishing the Amsterdam News, Ms. Tatum produces and co-hosts a weekly segment of Al Sharpton’s Weekly Radio Show “Keep’in It Real” – a nationally syndicated talk show. Ms. Tatum’s political insight is increasing sought-after – she appears regularly on WNBC evening news, and on the new international network ARISE, and has appeared on The O'Reilly Factor, 20/20, The Today Show, NBC Nightly News, WNBC, Fox 5, NY1 News and CUNY TV. She has also been a substitute host on WWRL Radio. In Addition she is a sought out keynote speaker on topics of media, race, politics and culture. Ms. Tatum was born and raised in New York City. She graduated from St. Lawrence University with a B.S. in Government Studies in 1993. She continued her education at Stockholm University in Stockholm, Sweden, studying International relations and the Swedish model of government. Ms. Tatum holds a Master’s degree in Journalism in Mass Communications from New York University. In addition to her career in journalism, Ms. Tatum is a philanthropist and holds many civic positions. She is currently, a member of the Board of Trustees of her college alma mater, St. Lawrence University. In addition she sits on the board of the New York Urban League, the Neighborhood Defender Service of Harlem, the Chinatown YMCA, Manhattan Community Board 3, and the Creative Visions Foundation. She is also the former Secretary of the National Newspaper Publishers Association. Ms. Tatum has received numerous honors for her work including: recognition in Who’s Who of American Women (the Millennium Edition and subsequent editions); a Doctor Of Humane Letters Honorus Causae from Metropolitan College (New York City); Manhattan Borough Presidents’ Women’s History Month Award; the Public Advocate of New York City Award of Distinction; the Women Who Make A Difference Award; Outstanding Business Empowerment from the New York Chapter of Black Business and Professional Women Award; Standing On their Shoulders Award from the National Action Network, the Good Scout Award, and the Pi Beta Phi’s Members of Distinction Award. Driving along the Major Deegan Expressway, you have undoubtedly noticed Yonkers Raceway. And over the past few years, you have seen a transfor- mation of the raceway from a single-use attraction to what is now Empire City Casino/Yonkers Raceway. The New York City Council is supposed to be the voice of the people. There once was a time when most educated people, of a certain age, made it a point to watch the evening news, read the daily newspaper or, as technology advanced, read publications online. Going to Disney World in Orlando, Fla. is always a magical experience. Whether you are 2 or 28 or 88, there is something in the parks that will resonate for you. Mr. Mayor, make good on your promise! For far too many New Yorkers who are trying to make ends meet, it’s a vicious circle that always comes up short. When I returned home at 2:30 in the morning from Jacob Javits Center waiting for the election results to come in, I was greeted by a sign written in 6-year-old handwriting that simply read “Hillary” with hearts, taped to my front door. Almost five years ago 12-year-old Garrett Phillips was strangled in his home and died hours later in a hospital in Potsdam, N.Y.
Amsterdam News Publisher and Editor-in-Chief Elinor Tatum reflects on the Nick Hillary case.